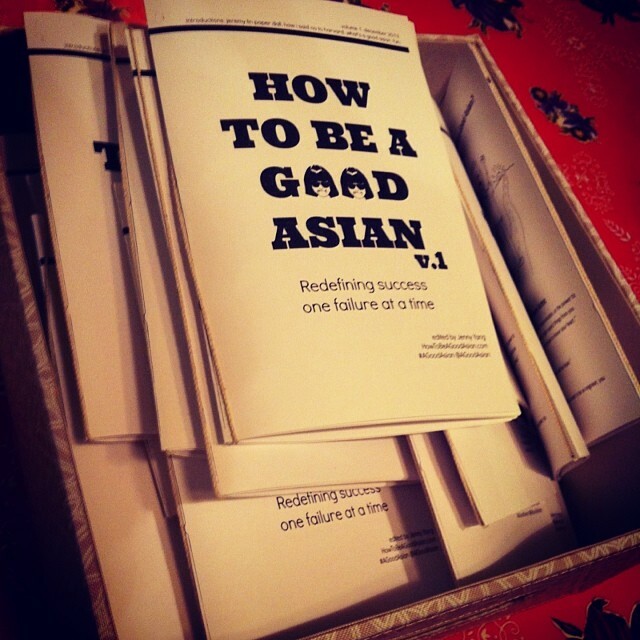 #AGoodAsian: How To Be A Good Asian is now a ZINE! ah. the moment all fifty of the zines were printed, folded, and twined together. Yup! In addition to this blog, I've made a hard-copy self-published, short-run ZINE that you can hold in your own hand - "How To Be A Good Asian: Redefining success one failure at a time"! The first issue came out in December 2013 with fifty copies and it has already sold out! Don't worry! More issues to come! 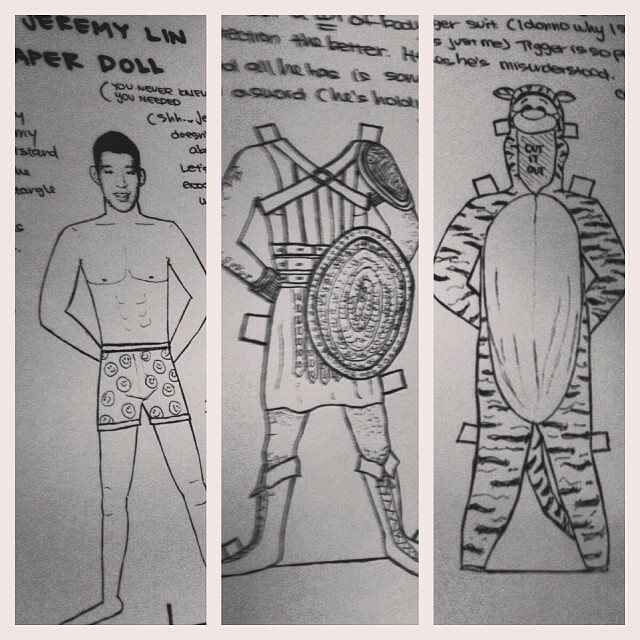 The first one featured a Jeremy Lin paper doll (that I drew because...well...I wanted to. And i wanted to dress Jeremy Lin up in different outfits so he can break out of his Harvard-educated NBA basketball playing box). I spent most of my time drawing the paper doll and Jeremy's outfits and slapped that thing together in a couple days with my own brother copy machine, some twine, and a couple of super-supportive friends who helped me put all fifty copies together! Man. It was a lot of work but so worth it to get my stuff out into the world - flaws and all. Are you curious about how some of it looked? 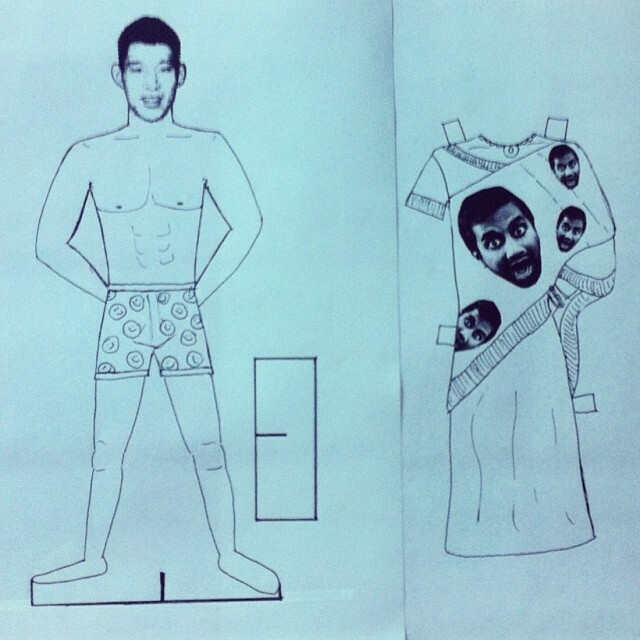 Here are some photos I took during my paper doll drawing process. I probably enjoyed the drawing part a little TOO much because I never do it! it's the Aziz Ansari Sari from TBS' Conan Show! I had a GREAT deadline for putting the first zine together: December 8th - the first-ever Eastside Los Angeles Zine festival. It was so fun! I got to see the public interact with my zine and I even sold a good number of them. A lot of them bought the zine as gifts to their siblings or friends for the holidays. Excited to make the next one for January 2014 - featuring a Mindy Kaling paper doll. I may be printing out a second press of the first issue - just about ten copies. If you are interested in getting one, just email me at contact@jennyyang.tv and I'll send you instructions how! Thank you all for your support! that's me. at the first-ever Eastside Zine Fest in Los Angeles. i was delirious from putting together all those zines just the night before. hahah.